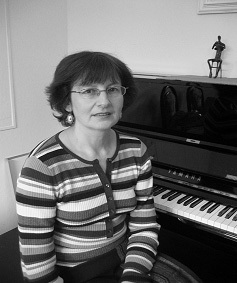 Olga holds a Bachelors and a Masters degree of Music in Piano Performance from Saint Petersburg University and has been teaching extensively for over 30 years. Her teaching career included serving as a Music Instructor in a Specialized Music School for Gifted Children. She currently is an active, certified member of the Music Teachers Association of California and enjoys teaching kids as well as adults. Evgeniya received a Masters of Arts in Music Diploma from the famous Moscow Conservatory. Her remarkable professionalism and patience combined with an elite education and over 20 years of teaching experience makes her a perfect choice for beginners, intermediate or advanced students of any age. Her gentle approach to teaching is truly remarkable. Jane received her BM and MM in Violin/Viola Performance from Ukrainian National Conservatory of Music. Jane has more than 30 years of extensive experience teaching kids as well as adults who are pursuing a career in music. She believes in cultivating the love for music through teaching technique, theory, musicianship, history as well as performance practice. 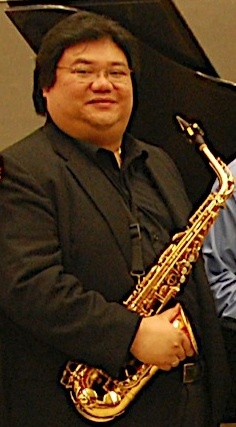 Jonathan holds a BA degree in Jazz Studies from San Jose State University and went to New York for graduate work at the Manhattan School of Music on a scholarship for classical saxophone. Jonathan is a Bay Area saxophonist immersed in both classical and jazz repertoire. Jonathan plays and teaches woodwinds specializing in saxophone, clarinet, flute and beginning oboe. Jonathan is trained in both classical and jazz repertoire and is equally accomplished in both. He also teaches music theory, jazz harmony, improvisation and is comfortable with all musical levels and ages. In addition to private lessons, Jonathan offers group classes including beginning woodwind ensemble, jazz combo and saxophone ensemble. Larry holds a Bachelors degree from Michigan State, and a graduate degree from Thunderbird Graduate School. Larry studied Flamenco and Classical Guitar under Ricardo Bilbao, Sila Godoy, Loris Chobanian, and Mary Ackerman. He enjoys teaching guitar to students of all ages and levels. John Sterling has been teaching and performing professionally since 1999. A jazz guitarist, he has played venues from Seattle to Fort Lauderdale. He attended Cornish College of the Arts in Seattle, WA and earned a Bachelor of Music in Jazz Performance. He then attended Washington State University and earned a Masters of Arts in Music with an emphasis in Jazz Studies and composition. Dora has studied with numerous internationally-known vocalists, including Tze-Lang Kao, Professor of Shanghai Music Conservatory and judge of three International Music Competitions. Dora has won the Silver Medal in the Taiwan Provincial Voice Competition, as well as the Grand Prize in the Taipei Voice Competition. She has been a member of the San Jose Opera since 1989, and San Jose Symphonic Choir since 1981. She toured Europe with the San Jose Chinese Chorus, and has been a soloist there since 1985, as well as a soloist with the Sunnyvale Singer Chorus since 1979. Professor Stein received his degree from Kiev Conservatory and has been a concertmaster in one of the leading Russian orchestras for more than 20 years. He had numerous stage solo appearances throughout Russia under Khachaturian and Kabalevsky conducting. Pr. Stein has also performed in an ensemble together and has been affiliated with such luminaries as Gilels as well as other world-famous musicians. In addition to that, he has extensive experience teaching University students, many of whom were winners of international competitions, and are currently among the best -known names on the concert stage.